How to save global capitalism from itself. A few weeks ago, I wrote a column on economic populism and attempted to describe why the dogma is surgically tearing rich countries (especially the United States) apart. The piece was light on prescription, so I’m going to take this as an opportunity to clarify some assumptions and outline an actionable solution. Global capitalism is under siege, because, while it has produced astounding gains, market integration, seamless capital flows, and AI advancements have left a certain demographic in the dark. In the United States, for example, this group is generally low-skilled and male, inhabiting the area colloquially referred to as the Heartland — essentially those living between the coasts with a high school diploma. The problem (manifested in wage stagnation and a declining life expectancy) will only worsen as technological advancement further chips away at the foundations of work. We are undoubtedly in a moment of unprecedented economic change, and in undergoing such reordering we need to relax some fundamental assumptions. This isn’t to say that the growth-driven economic model is inadequate; rather, the measure is becoming irrelevant. It’s no stretch of the imagination to assume that growth will be exponential over the few decades. Technological progress will continue to make production cheaper and more efficient — rising GDP will tell us there’s nothing wrong. But make no mistake: things are changing, and a whole lot of low-skilled workers are being left behind. Among the most common occupations in America are retail salespeople, back-office clerks, and call-centre workers. You needn’t a complex understanding of Silicon Valley to hypothesize that these jobs are highly susceptible to automation. Let us then suppose that the AI revolution will persist, wiping out millions of American jobs in due course (one study conservatively estimates a net 7% loss this year alone). The fourth Industrial Revolution represents an historical economic juncture, so the policies we seek to implement must be reflective of these groundbreaking changes. Universal basic income (UBI) doesn’t present an all-encompassing solution to the economic challenges of the 21st Century, but it would surely buy us some valuable time in reordering the structural tenets of the growth-oriented economy. UBI is essentially the idea that every citizen (rich or poor) of a given society shall receive a periodic cheque from the government, no strings attached. One can debate the policy on philosophical or ideational grounds, but for our purposes I’ll adhere more to the economics of why it makes sense, and why the arch capitalists in tech are embracing the proposal. Besides, those who cry socialism in opposition to such a proposal either (a) don’t know what socialism is or (b) don’t wish to have a meaningful conversation. The idea stems from the likes of John Stuart Mill, Thomas Paine, and Milton Friedman (yes, the legendary conservative economist). Let me emphasize that the idea was not engineered by the big-government left, but by those economists who, understanding the risk of distorting incentives, recognized financial subsistence as an imperative for rich societies to sustain themselves. John Kenneth Galbraith wrote in 1966 that “we now have a welfare system that could not be better designed to destroy incentive if we wanted it that way.” This is still the case, as evidenced in the meagre US labour force participation rate of roughly 63.2%, on par with those of Ecuador and Myanmar, and roughly 18% shy of the UK. 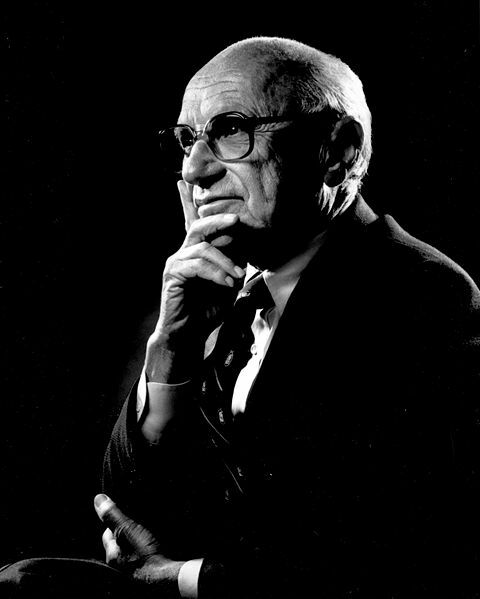 Today’s UBI takes root in Milton Friedman’s negative income tax. UBI presents us with the unique opportunity to kill two birds with one stone: proactively confront transformative economic change and tackle the distorting incentive structure found in the current welfare regime. By emphasizing financial subsistence, we can be rid of the scarcity mindset that diminishes both cognitive capacity and entrepreneurship by replacing it with a mindset of abundance. Which is to say that, according to the Roosevelt Institute, a monthly “dividend” of $1000 to every American over 18 would yield an additional $2.5 trillion of economic growth by 2025. That economic injection is intrinsically valuable, as it implies a degree of bottom-up growth that the digital economy won’t produce. The poor don’t “waste transfers on booze and cigarettes” — they increase consumption on household goods and services, as the World Bank found in 2014. Of course, there’s the notable question of how we pay for it all. A value-added tax (or VAT) at half the European level (10%) will cover the majority of the cost. Combine that with the consolidation of those welfare programs that restrict choice, create waste, and distort incentives, and you’re there. 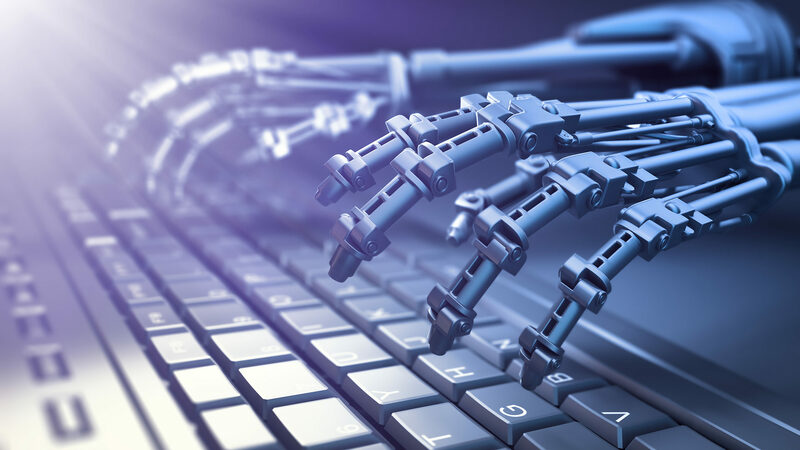 The VAT is especially critical, as it provides an avenue to harness the gains of automation and redistributes with greater efficacy than high-level income taxes do. There’s also the legitimate concern that inflation will run rampant, but with little discernible impact on the money supply, these fears are largely unfounded. There is but one Democratic candidate for the 2020 presidential nomination running on the implementation of UBI: little-known Andrew Yang. He’s branded himself as the antithesis of Donald Trump — “an Asian guy who likes math.” Perhaps the early frontrunners are too caught up in establishment politics to promote such a radical plan, but it’s somewhat ironic that the party claiming to hold dearly the interests of the working class has presented no strategic plan to navigate the digital economy and prevent social implosion. Yet my gut tells me that the copycat effect might take hold come the first primary debates. I’ll concede that UBI is highly imperfect — not because of the sheer cost, but because it doesn’t strike at the crux of the issue. If we consider honestly those who will be hit hardest by an ever-digitizing economy, it will be those in developing countries where resources are thin and safety nets weak. Europe nearly tore itself apart during the 2015 refugee crisis, yet these catastrophes will only intensify as opportunity dries up for those seeking work in factories and call centres halfway across the globe. Even still, UBI is a policy proposal surely worth considering. The digital economy will widen the income gap by distributing the automation gains to a select few shareholders, leaving the low-skilled to whither. That’s an unsettling prospect in an already tense, polarized age. UBI can soften the blow by building an economy from the ground-up, thereby spurring consumption and curtailing the scarcity mindset. The digital age may well be defined both by unprecedented ingenuity and widespread human idleness. Given the clear indications of such an outcome, the realities of technological disruption should be at the forefront of every economic debate. We’d do ourselves some good by taking it seriously.